Our co-coordinators are Chris Berning and Scott Huff. Can You Help? - Serve as the Hands and Heart of Christ! 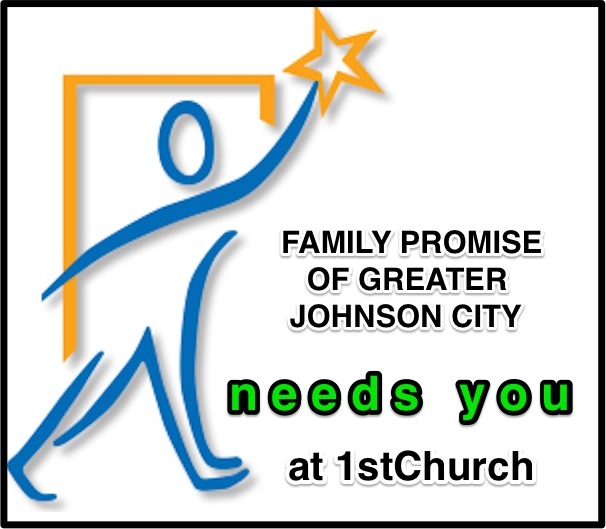 Did you know this is the 19th year of IHN/Family Promise in Johnson City? First Church JC has been a core group participant for the entire 19 years. For those who like to do scrap-booking perhaps? 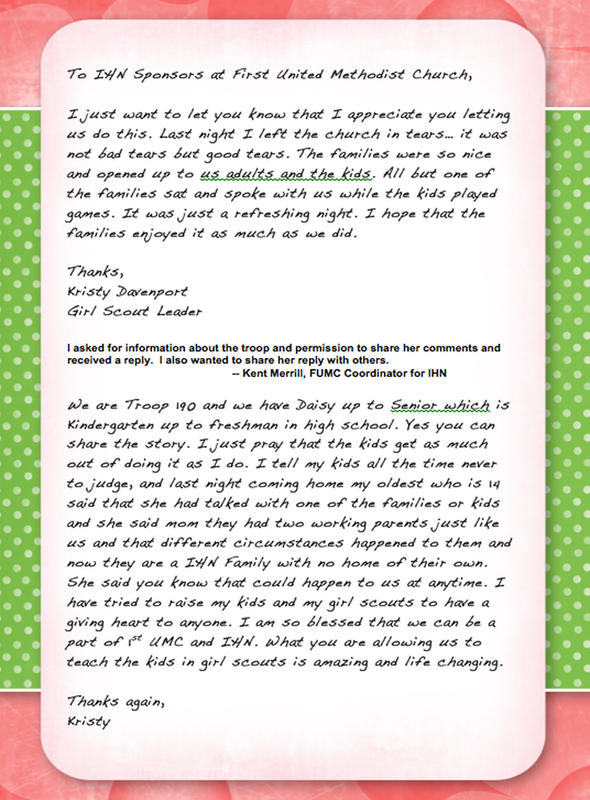 We have started to keep track of the history of IHN/Family Promise but need help for the last several years. This could also include re-doing some of our display boards for those who like to do this artistic work. On call to help move furniture when families move into housing. This is an exciting thing to do because you get to see the end result! Requirements: Strong back and muscular strength. The warehouse coordinator does not require muscles. It is a monthly volunteer job of keeping inventory, scheduling pick-ups of furniture, and picking out the items requested by families. The movers will do the rest. To take family members to appointments and pick up children from school and day care in the afternoon. Hours needed: Between 8:00 a.m – 5:00 p.m.
As some may know, it can be a struggle to fill in all of the volunteer positions. But, not having a home and coping with trying to raise a family without one is even more of a struggle. So we can help!! Please sign up early and consider trying to find a new volunteer to serve with you! It would be wonderful to have a larger pool of volunteers to be ready when needed.